It seems that everyone is getting married or getting into a relationships. Well if you're single and love being single let everyone know with this sticker. Decorate your home, office or laptop with this sticker. 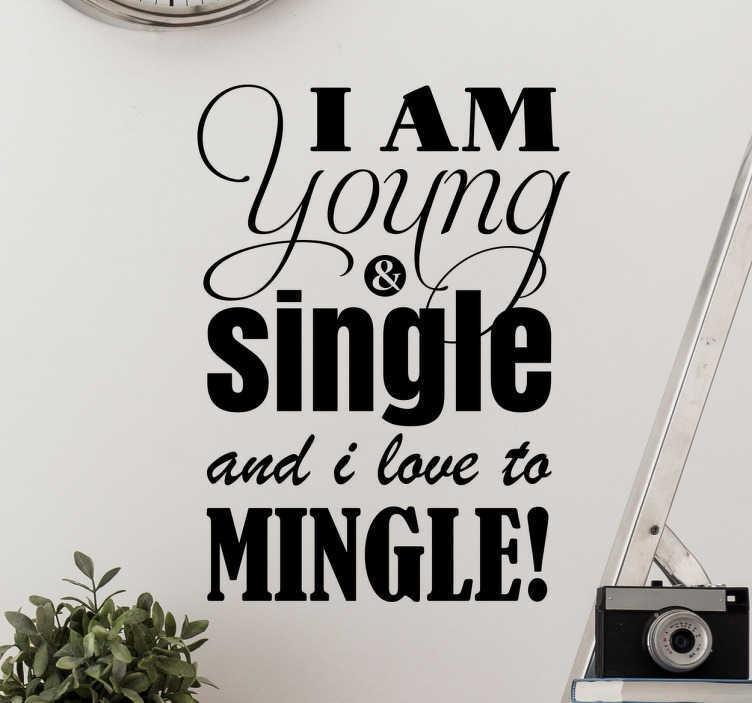 The text sticker consists of the message "I am young & single and i love to mingle!" This sticker is available in various sizes and colours so tailor the sticker to suit your taste.